One of the most idiotic event of my lifetime happen just the past week when it was reported that the Office of Management and Budget (OMB) told the Centers for Disease Control and Prevention in Atlanta (CDC) what words they could not use. This immediately set of alarms both triggered by history and by understanding what is the basics of true national security for a democratic nation. I think you get the drift of what was intended. It was to politicized our language, get it written into our budget process words with malevolent ideological intent. Worst was the substitute words or phrases that were suggested by the Trump overseers they were: Instead of “science-based” or -“evidence-based,” the suggested phrase is “CDC bases its recommendations on science in consideration with community standards and wishes,” In short, the local village idiot like Roy Moore or climate deniers would be equal to science based facts. Is it because the Republicans on the Hill are equally dense on science and facts, or are they influenced by the likes of the Koch Brothers, billionaires who have written the tax for the rich bill, the lobbyists for the oil and coal industry and their big fat checks for reelection or the treats of withholding money if they are not obedient? Think of the implications for our health, for honest and tested science, and for free speech and implications for such an action in our America. Also it is reported that other agencies including the Department of State also received limitation on words they could use which is un-presidente. Further, the Trump people even gave misleading and insulting and politicized new words to use in the same way that Hitler did. It is just the most recent signs of authoritarian rule and of the simple fact we are being led by both a man of deep ignorance and one who has demonic and dangerous tendencies that threaten in a fundamental way American democracy and frank and open and free debate. My fears go back to a lecture I heard from the great Christian and controversial theologian Paul Tillich in the 1950s at a college conference in Ohio. He said that one of the great crimes that the Nazis committed was the destruction of the German language by changing the meaning of past words that were commonly understood among thinkers and philosophers into words that aimed to take new meaning to support Nazi rule and propaganda lies and rid the thinking by Germans of words that had real meaning supporting humane values. I have never forgot those thoughts. The second example that I studied intensely was the Soviet revolution and likewise the period in Germany that lead to Hitler. Both were regimes where words were used to spread hate and as ways of limiting free speech. They used the banning of words and phrases that threatened recognition of true freedom of thought, tolerance, and speech. Now we have in full view the exact same methods of coercion and same methods to destroy truth and fact based discourse. This move is as dangerous as any act of terrorism and Russian plot against our elections…it is now the deep mad “enemy within” the White House and the GOP that is trying and could caused us to fear the truth and have forced upon us a lexicon of hate, lies and falsehoods. Efforts to “wash our minds” and silent those who are our truth tellers is as un-American as any external act and leads to a darkness that many of have seen in the past and is appearing in many authoritarian states like Egypt, Turkey, Russia, China and many more. Words matter and the truth matters and we need the right words to tell the truth. Once again we are entering a merciless mess in Afghanistan led by a man that has not the faintest idea of what he is doing other than sending added, yet unknown numbers, of American armed forces into conflict without even a true strategy or concept of making Afghanistan itself safe and having a chance to recover security and stability. And by cutting out any “nation building” (that is support the civilian sector and giving its people hope for jobs, education, security and a better decent life), a purely military escalation is likely domed from the start. And sadly this will be at the cost of many additional American, allied, and civilian lives. Other than threats and platitudes against the governments of Afghanistan and Pakistan for their seen failures which we have tried and tried again to correct and change, Trump offered no new hopeful approaches. Trump remains ignorant of the complexity and the deep ingrained habits of corruption, loyalty to tribes, fear of retribution, etc. Not least, also unaddressed is the embedded drug trafficking including the widespread growing of poppies which all sides greatly benefit from not least the terrorists, for which there is no sign we have any new effective solutions. Even if we had it would likely take decades and much resources to make the necessary changes on the ground even if the Afghan government were to become more honest and effective. He clearly has no end game other than killing the ISIS, Taliban and Al-Qaeda with an undetermined number of thousands of American troops. Having lived through and watched each administration grapple unsuccessfully with Afghanistan. Now even with the support of the military, clearly now neither the military nor Trump have any idea of a truly new approach. In fact, Trump’s approach is almost exactly what each previous administration tied from time to time and found wanting in any lasting success. There was not a single sign that Trump or his advisors had better newer answers. Most troubling was his simplistic and even quixotic views on defeating terrorism. He lacks any interest even in proving the people of Afghanistan peace and true stability. There was perhaps another game plan but not to bring peace or security. That is rather simply the idea of saving his administration by becoming a “war president” and thus un-impeccable and un-touchable and diverting attention from the Trump-Putin investigation. One fact which was not mentioned was the reality that these terrorist groups have learned to spread their activities to other at risk nations and also to regions like Europe, Asia and North America. Killing them in one country is only likely to see them spring up in others, perhaps with even more dangerous outcomes. All this threatened killing brings increased anger and haltered that are at the cause of their strength. Only indeed if we had a effective true strategy against the fundamental sources of terrorism and an effective “nation building” strategy, that could be fully carried implemented, we might address the critical reasons for the spread of terrorism and violence and reduce its impact. 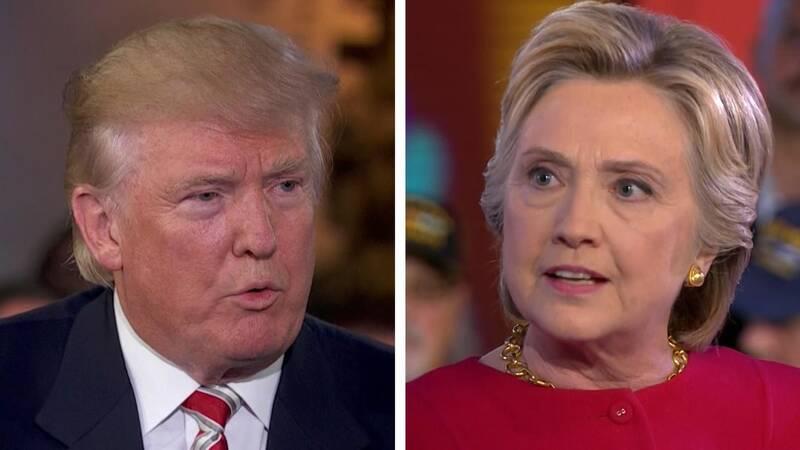 The First Clinton-Trump Debate; National Security Or Insecurity? There were “crimes” committed during and after the shambles of a debate. This was a debate where the realities of the global security landscape were given the same lies and distortions as in the domestic side with Trump’s crude remarks, evident lies, and even stupidities. But in the international and security side, words do matter and our allies and our adversaries are listening and look on in wonder. Yet the one similarity between the domestic and security side was the avoidance of facts and understanding of the implications of proposed policies. Those were kind words for what were in reality ignorant sound-bites, lies, and distortion. Trump demonstrated no comprehension of the dangers and catastrophic consequences of not just his statements as a candidate now, but of his likely action should he become president. His statements about nuclear weapons, his Middle East policies including his earlier anti-Muslim rants, stance on Israeli-Palestinian peace, and not least building a wall on our Mexican border and rolling back our advances in climate change, Cuban relations, and the Iran nuclear deal are just examples of a mind gone wacky. After the debate the press followed Trump and gave him a billion dollars worth of advertising to push his views and with more lies with no fact check but not showing Clinton’s people in a equal level. It was a big misjudgment and sadly not surprising. The media crowd following Trump was after not substance but rather wanted a piece of a celebrity and TV eyeballs of a person who just moments ago said more lies and displayed much ignorance of the basic facts of our global world and its many challenges. 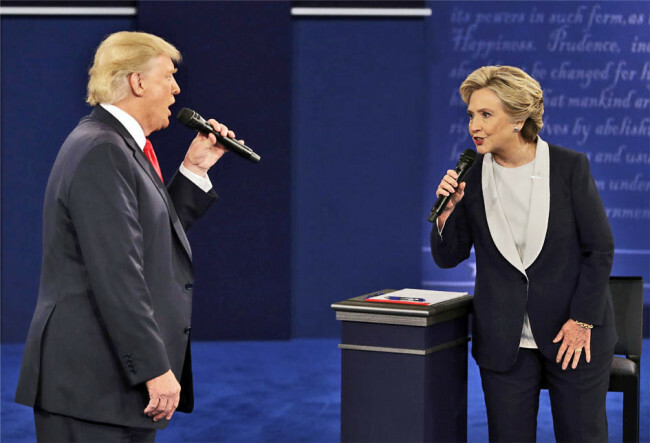 Yes, there could have been a more detailed and deep set of questions and answers from both Trump and Clinton, but the difference between her and Trump was as they say “legion.” That Trump was out of his depth, which was clear to all, including many Republicans in their reactions and the fact that after the debate many traditional Republican newspapers endorsed Clinton rather than Trump. We have focused in this post below on some specific areas dealing with national security and foreign affairs with candidate quotes and commentary. Commentary: Trump repeats some of his past scripted statements but no plan. Clinton does talk about use of “air strikes” and other support which is largely the Obama administration’s consensus of what they can do to defeat ISIS without putting more on the ground combat forces which would only put them in deadly danger in areas and landscape we know little about and where our strategy seems to be garnering gradual results. COMMENTARY: It is clear that an unbalanced and “cavalier” man should not have the nuclear codes and cause the destruction of the globe’s civilizations. The question of a nuclear first strike, an issue I have been following for decades, is one of great importance and sensitivity, none of which is shown by Trump. At the moment our policy, supported by the military, is to leave open the first use issue, but our policy must be not to do so in any conflict case that is likely short of immediate certain knowledge of nuclear weapons being used against us. COMMENTARY: Although both candidates agree on the growing danger posed by cyberwarfare, neither side presented any tangible policy suggestions to address the challenge. Clinton used the question to cite the DNC cyber attack and once again Trump took the bait to shield any hint of Russian involvement, despite US intelligence sources stating with certainty that the attack came from Russia. It’s surprising that Trump didn’t use the topic of cyberwarfare to take more potshots on Clinton’s email scandal, but that could be credited to the Republican candidate’s lack of preparation and at this point in the debate he was on full tilt. COMMENTARY: One of the most divisive and harmful statements Trump has made was his questioning our NATO alliance, especially when it is under threat from Russia on many fronts and our Europe allies need encouragement rather than blind and short-sighted nasty criticism. Putin must be delighted and Trump seems even to encourage Russian aggression. A dangerous mix. The same must be said of our other allies especially in Asia given what was not debated, the threat of North Korea and how to deal with it diplomatically. COMMENTARY: One can’t go beyond Clinton’s critique of the consequences of Trump’s approach to Iran. Except that it underplayed Trump’s true dangers to our national security interests and how to deal with major crisis situations. We welcome your comments; click here to go to our comments section! Follow our coverage of the quotes and policies of the candidates on foreign and national security issues, updated weekly and sorted by topic. Click here for that coverage. Commentary – Clinton outlined a foreign policy strategy similar to how the Obama administration is handling the conflict in Syria. From this plan, the key to success in military conflicts is the use of strategic air strikes, cooperation with allies, and the provision of military supplies and tactical training via support troops on the ground to aid local allied entities in achieving victory. The use of the phrase “ground troops” is a bit of a misnomer, as the United States currently has troops deployed on the ground to serve in a support and training role with allied factions in Syria and Iraq. A promise of no more US combatant troops in the conflict region was most likely Clinton’s intention, if she’s continuing to follow the strategy laid out by the current administration. Trump’s criticism of the current administration’s efforts against ISIS was centered on an inability to win the fight in a manner similar to General Patton or MacArthur, as today’s military leadership is too politically correct to take the necessary actions for victory. Such a critique makes Trump come off as a candidate who fails to grasp the toll of American military and local civilian lives by adapting a more heavy-handed approach to Syria. Trump’s secret plan to defeat ISIS was also put into question by moderator Matt Lauer when he pointed to Trump’s thoughtless announcement on Tuesday to convene his generals and give them 30 days to submit a plan to defeat the Islamic State. The Republican nominee muddled between weighing the strengths of his supposed plan and the generals’ and stressing the importance of not divulging details lest they be used by listening ISIS members. In fact, Trump either has no plan at all or his plan is of such stupidity and recklessness that he and has staff do not want it to see the light of day before the election. Overall, Clinton laid out a more comprehensive strategy that echoed President Obama’s current course with a minor gaffe between ground and combatant troops. Trump used the questions about the conflict in Syria and Iraq to lob criticism at his opponent and the current administration while failing to set forth any tangible alternative plans. 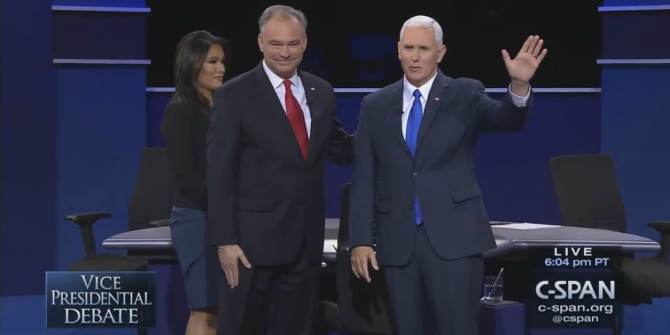 Commentary – On the topic of the Department of Veteran Affairs, both candidates expressed an urgent need to improve the quality of care given to returning soldiers, while making a political jab at their opponent. Trump pointed out Clinton’s claim earlier this year that the 2014 VA Scandal was not “as widespread as it has been made to be,” in which Clinton cited three surveys expressing general satisfaction by a majority of veterans after receiving care from the VA. However, such data only covers post-care vets and fails to take into account the major concerns raised at the Phoenix VA in excessive wait time and over-scheduling. Since then, the Clinton campaign has shifted its position in expressing an urgency to improve the quality and delivery of VA care. Clinton’s criticism against Trump on his desire to privatize the VA reflects some Republican desire to shift much of the VA’s health service to the private for-profit sector. It does raise a valid concern of increasing the role of the private sector in Veteran Affairs benefits. Trump supports veteran access to private health care if distance from a VA medical facility or over booking makes it difficult for veterans to receive public care which is already being done in some cases. The involvement with the private sector could increase overall costs for VA services compared to an expansion of public-provided services. Trump and Clinton both expressed concerns on the high suicide rate among US veterans. Although Clinton’s 20 suicides per day figure is more updated than Trump’s rate of 22, the two presidential candidates didn’t express contrasting positions on improving veteran suicide prevention. On the subject of sexual assault within the military, Trump stuck to his previous comments linking the high level of unreported assaults to the mixing of men and women in the armed forces and suggested a need to establish a more effective court system within the military. Trump’s continued assertion is flawed, as it fails to take into account the under reported male-on-male sexual assaults that comprised 53 percent of cases found in a 2012 Pentagon report. COMMENTARY – Clinton and Trump identified a sense of good judgment as an essential skill in being an effective Commander-in-Chief. Trump cited Clinton’s support of the invasion of Iraq and military intervention in Libya as poor judgment and contrasted it to his opposition to both military actions. Although this made for a good soundbite, Trump’s argument falls apart when one actually fact-checks his opposition to both decisions. Clinton was correct in pointing out Trump’s initial support to the Iraq War with an appearance on Howard Stern’s radio show in 2002. Clinton also claimed that Trump supported intervention in Libya and in the lead-up to the first US bombings; Trump did in fact express emphatic support for military action. In another flawed example of proper judgment, Trump criticized President Obama’s decision to continue withdrawal of troops from Iraq. This remark is somewhat perplexing, considering Trump suggested a need to remove US military presence from Iraq during an interview with CNBC in 2006. These three examples that Trump gave of having a superior sense of judgment over Hillary Clinton and Barack Obama were bald-faced lies that Trump has made multiple times at other public events. Unfortunately, moderator Matt Lauer failed to follow up on Trump’s dubious claims and allowed the Republican nominee to get away with blatantly false statements in front of a national audience. The one serious fault of the program was the lack of focus on the truly key strategic and security issues. These include Putin’s aggression and acts of war in Syria, dealing with China including the South China Sea actions, the use of nuclear weapons (which Trump said earlier he would use). Likewise the session did not address Climate change that the CIA list as a security threat, nor the problem of global poverty, and not least the criticism and ignorance about by Trump of NATO’s role, or his support of both Brexit which divides Europe, and a admiring a dictator like Putin which is a danger to our allies security. The program was an opportunity missed and badly managed. We welcome your comments! Click here and contribute to the discussion at the bottom of the page.